At Empress Tavern, the winners are lugers. 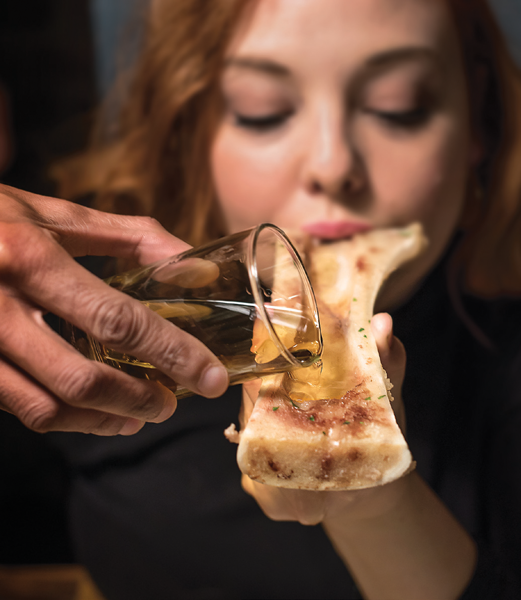 As if beef bone marrow weren’t a decadent enough dish, the folks at Empress Tavern have dialed things up a notch or two by adding a whiskey-shot luge to the experience. Here’s how it works: Once you’ve finished scooping out the rich marrow from the roasted femur, a waiter arrives tableside with a bottle of Jameson and pours a shot through the bone’s channel and into your mouth.